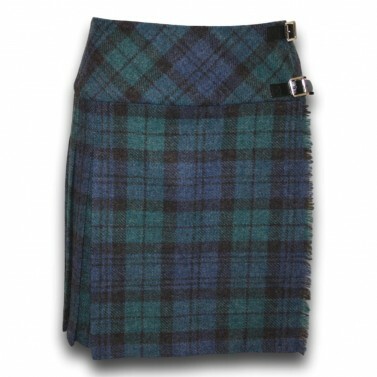 This ladies black watch tartan billie kilt is made in Scotland using 100% Shetland wool. 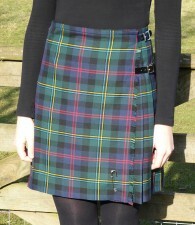 Why not pair this quality, made in Scotland ladies black watch billie with a fine merino wool black poncho? Being made in Scotland, you can be assured of the quality of this stunning ladies short tartan kilt.